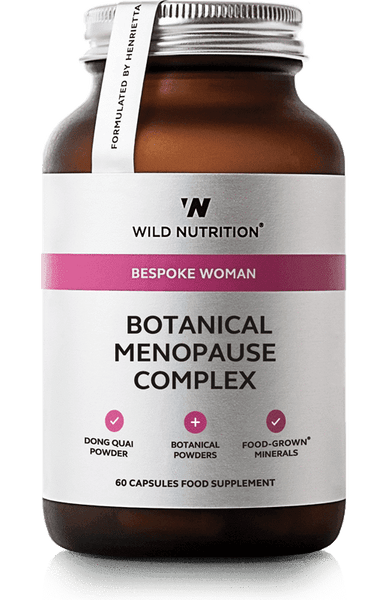 Uniquely formulated for women over 45 years of age, this expertly formulated complex of Food-Grown® vitamins and minerals and botanicals can support the body's energy stores, management of the daily demands of life as well as the hormonal, physical and emotional shifts that women move through at this time of their life. With the addition of turmeric and cordyceps mushroom for natural reinforcement. 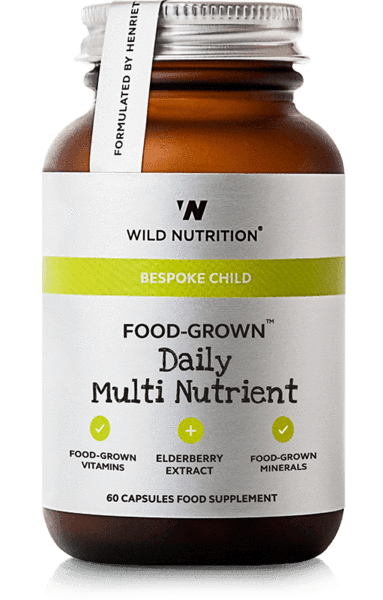 Our Food-Grown® Daily Multi Nutrient 45+ provides richly nutritious sources of Magnesium, Vitamin K, Manganese, Vitamin D and Vitamin C to contribute to the maintenance of normal bone health; Zinc, Biotin and Copper to support skin and hair. 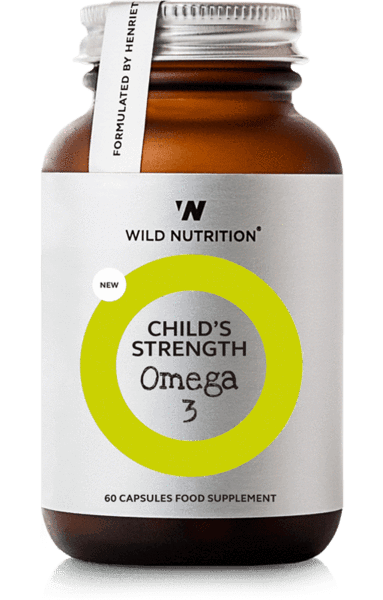 In addition it also contains Vitamin B5, B3 and Folic Acid (as naturally occurring full spectrum folate) for the reduction of tiredness and fatigue; Iodine and Selenium to support normal thyroid function; Vitamin B6 for the regulation of hormonal activity and normal psychological function and Vitamin B12 for the normal function of the immune system. 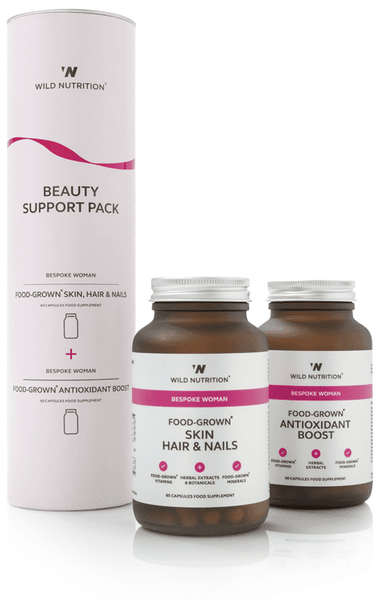 Uniquely formulated for women over 45 years of age, this expertly formulated complex of Food-Grown® vitamins and minerals and botanicals can support the body's energy stores, management of the daily demands of life as well as the hormonal, physical and emotional shifts that women move through at this time of their life. With the addition of turmeric and cordyceps mushroom for natural reinforcement. 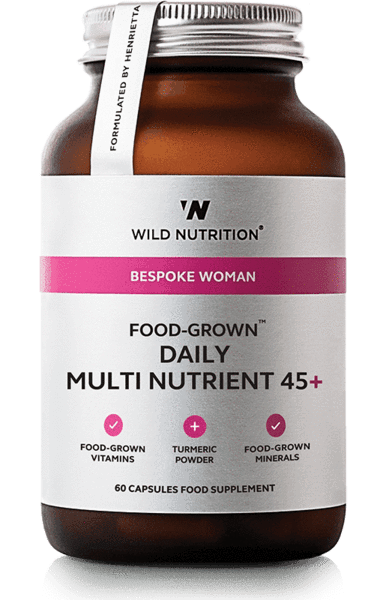 Women aged 44 years or less, should use our Food-Grown Daily Multi Nutrient. Ingredients: Vitamin C and Bioflavonoids incorporated in citrus pulp; Vitamin enhanced Yellow Pea (Pisum sativum) preparation providing Vitamin E; Beta-Carotene incorporated in Carrot concentrate; Vitamin and Mineral enhanced Yeast providing Vitamin K, Folic acid (as naturally occuring folate), Thiamin, Riboflavin, Vitamin B6, Vitamin B12, Vitamin D3, Niacin, Pantothenic Acid, Vitamin E, Biotin, Choline, Inositol, GTF Chromium, Boron and CoEnzyme Q10; Lactobacillus bulgaricus providing Magnesium, Copper, Manganese, Selenium, Zinc, Molybdenum, Iron, Iodine and Calcium; Alpha Lipoic Acid, Turmeric powder, Cordyceps Sinensis powder and Betaine Hydrochloride. Vegetable Cellulose (capsule shell). Cautionary advice: If you are pregnant, breastfeeding, taking medication or under medical supervision, please consult your healthcare practitioner before taking any food supplement. This product contains Betaine Hydrochloride and should not be used concurrently with H2-blocking drugs, proton pump inhibitors or with those individuals with a history of a peptic or duodenal ulcer. We advise taking your supplements a minimum of 2 hours from the time of taking any medication. Store in a cool, dry place away from direct sunlight. Keep out of reach of children. Food supplements are not to be used as a substitute for a balanced diet and healthy lifestyle.